Across Asia, smartphones have transformed consumer behavior, fracturing what was once a straightforward linear consumer journey into something much more fragmented and complex, across screens and at all hours of the day and night. In fact, an impressive 61% of Japanese mobile users said that they have purchased a brand or product they would normally never consider after receiving highly relevant information or messages on their mobile devices. We call these split-second consumer decisions "micro-moments." In this new world, consumers have raised expectations for relevance and immediacy, which poses a challenge for marketers: the old proxies like age and gender—aren’t good enough by themselves anymore. Today it’s more important to know what consumers want, right now than “who” they are — it’s all about context. This is a challenge, but it’s also an opportunity some brands are already seizing. What it means to be “relevant” is hard to define, but one step towards this is taking into account time, place and the weather. Take something a simple as being thirsty: commuters on a hot day in central Tokyo will want different drinks to people sunning at the beach. The Google Japan team realized that although brands understood the trend, they were struggling to meet consumers’ needs with relevant messages every time they turned to their phones. It was not only hard to do, but impractical too. Then they came up with “real-time data-driven creative”: a solution that uses Google smarts, third party data and a dash of creativity to send consumers messages that are targeted to their context based, despite their ever-changing environments. What is real-time data-driven creative? Real-time data-driven creative is a mechanism by which indexed data on fast-changing external factors (such as meteorological data), is collected on the Google Cloud Platform. This data is then linked with ad serving systems through Google Marketing Platform1 to serve variable ad creatives that are deemed the most suitable according to the data on the consumer's environment. This mechanism was designed to meet the needs of advertisers who have grasped the importance of serving messages that are highly relevant to consumers' micro-moments. By using data that’s stored on the Cloud, brands can be present and solve problems that can't be fixed by directly inputting third-party data into Google Marketing Platform, in this case, coupling OpenWeatherMap with a weather forecast. Besides, APIs providing data indexed based on weather and temperature, we can now use indexed data divided into four categories (see below). Since Google-provided technology is applicable all the way from the collection of external data to the serving of ads linked to that data, we can offer a service that is a one-stop solution meeting the needs of advertisers. In fact, creatives based on an automatically understanding of consumers' Micro-Moments perform much better than conventional still-image banner creatives, with CTR about 3X higher. McDonald's Japan rolled out a campaign using from the Weather category's Weather Index when it launched a customizable menu that offered many burger variations. Using sales data from the company's nationwide network of restaurants, together with weather data, McDonald's Japan was able to analyze in real time when and where products were selling well, and which products sold well under which weather conditions. 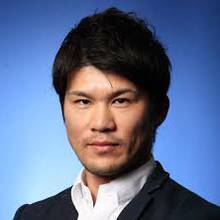 McDonald's Japan then connected their data to Google Marketing Platform's ability to reach smartphone users based on location and demographics, which in turn automatically generated and delivered the best ads based on the combined rich contexts of location, gender, time and weather. For example, ad messages about iced coffees were sent on hot summer days and about popular new hamburgers over rainy weeknights. In the end, McDonald's Japan served over 25,000 types of banner ads recommending just the right product for each viewer in that particular set of circumstances. In addition to the banner ads, McDonald's Japan also sent users digital coupons for the recommended products, adding an extra incentive for customers to visit its restaurants. As a result, this campaign saw coupon usage grow by 150% the normal rate. When people think about technology they often think about one-size-fits-all or mass production. In the past, display ads have been guilty of that to a certain degree, but it’s really exciting that real-time data-driven creatives ultimately uses technology to unlock creativity at scale — to give brands the chance to offer consumers a more customized experience.